A striking feature of the evolution of international relations in recent years has been the shifting of axis of global politics to Asia and the rise of developing countries and emerging economies, especially India and China. Thus has had a profound impact on the international structure. When the Chinese leader, Deng Xiaoping, met Rajiv Gandhi in 1988, he said to Indian Prime Minister, “Only when China and India achieve development, the world will see a true Asia-Pacific century”. India and China are ancient civilisations, neighbours and strategic partners. India was the first non-communist country to establish diplomatic ties with Beijing. China and India have extensive consensus on major international issues. On the whole, Indo-China relations have embarked on a road of steady growth. However, the lack of strategic and political mutual trust remains the weak link in the relationship. Pursuit of world peace is a fundamental tenet of India’s foreign policy. On the other hand, belying China’s claim of peaceful rise, its foreign policy is turning into an infringement of internationally accepted norms. China’s Pakistan policy is a major challenge to India-China relations. In India, the perception about the “China threat” since 1962 is a real issue. 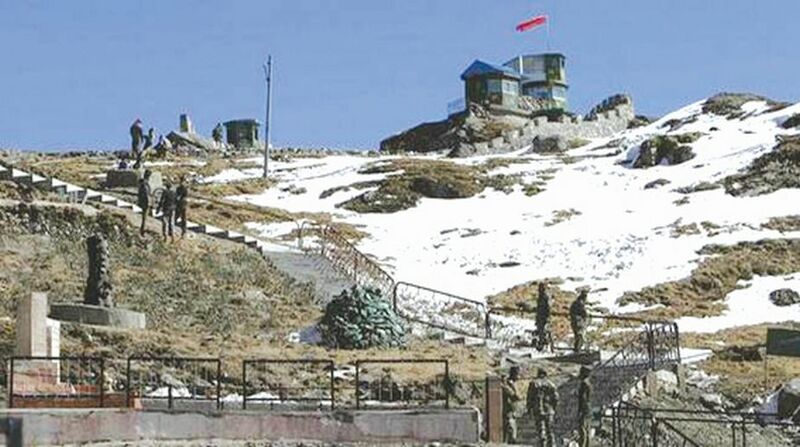 The recent Doklam standoff has not only forced the boundary dispute, but also added to the long list of hostile acts by the Chinese against India, starting with making Pakistan into a bigger nuisance by augmenting its nuclear and missile capabilities, by running the China-Pakistan Economic Corridor (CPEC) through Indian territory under the illegal occupation of Pakistan. Moreover, India’s disappointment with China’s role in blocking India’s entry into the Nuclear Suppliers’ Group (NSG) and more so creating obstacles in India’s efforts to get back Pakistani terrorists on the UN sanctions list. What are the reasons for China to force a boundary dispute, escalate tensions and distrust? Is it the Indian joint naval exercises with US and Japan in the South China Sea, permission to the Dalai Lama to visit Arunachal Pradesh and hoist the Tibetan flag in India? Is Doklam China’s way of telling India to behave or face war? For all the talk of cooperation, China remains a fierce rival as far as vying for regional influence is concerned. Economy may be the one area of agreement however, based on the Chinese theory of “compete and cooperate”. The boundary question is a complex issue and there are no immediate indications towards resolving it. It will only be possible if two countries put friendship first, foster the security concept of mutual interest, by accommodating each other’s core concerns and appropriately handling differences and tensions. It represents the call of the times. Obviously, there is considerable competition between India and China to expand their sphere of strategic influence, both in this region and in the vast maritime space of the Indian-Pacific. It is a rivalry that runs along the spine of the continent, as journalist Frank Moraes once wrote quoting what Jawaharlal Nehru had said in 1952. As regards India’s neighbours, Nepal’s Left alliance has swept to a commanding victory in the historic federal and provincial relations concluded in December. The victors ~ Unified Marxist Leninists (UML) and their Communist allies! were widely seen to be endorsed by China, while India evidently favoured the Nepali Congress (NC). India’s role in the disastrous 2015 blockade of Nepal has resulted in the victory of pro-China parties, while Chinese influence in neighbouring Myanmar is on the ascendant. Pakistan has come closer to China and also towards Russia at the cost of India. The so-called “all-weather relations” between Pakistan and China coined as “Chi-Pak” followed by regional projects under the One Belt, One Road (OBOR) plan are matters of deep concern to India. Indian strategists and diplomats have failed to take advantage of increasing Chinese concerns over security and other arrangements for the ongoing projects under the $ 46 billion China-Pakistan Economic Corridor (CPEC), a network of roads and power projects running through Pakistan-occupied Kashmir. There is a perception among Chinese scholars that CPEC’s long-term viability is uncertain unless India is brought on board. After India realigned its position with the post-Cold War order, engagement with East and South-east Asia had to be one of its priorities. India had first to convince Asean that it had seen the light and would befriend counties with which relations had been cool over previous decades. India had been perceived by Asean as close to the Soviet Union, and neither fully Western nor Asian, and India’s cultural uniqueness was not considered a positive element in facilitating its integration with Asean. The ‘Asean way’ rests on personal relationships, gradual consensus-building and skirting contentious issues, whereas Indians are seen as legalistic, bureaucratic and impersonal. In other words, India was a very late starter, and had to catch up with the established presence of other big countries both from within and outside the region. The Indian ‘Look East’ policy was in accord with the market model that was in place in South-east Asia. China’s involvement with those countries had already witnessed a strong momentum, helped by people of Chinese origin who had long dominated business in at least half of the ten Asean countries. India had fallen far behind in the movement for regional integration, although the political and strategic situation on India’s south-east flank affected its security, even more so after the admission of Myanmar brought Asean adjacent to India’s land border. India had showed no inclination for political leadership in Saarc, but paradoxically it now wants to go beyond South Asia and the Bay of Bengal to extend its influence towards the Pacific. The new emphasis on the East was motivated by the China factor, its social, cultural, religious and linguistic links with Asean and the persons of Indian origin who had a presence in the socio-political life of the region. As Indo-Asean ties increased, the role of these communities became more salient. The writer is President, Centre for Eastern & North-Eastern Regional Studies, Kolkata.